I first heard about a place called Dandeli from a colleague. She was from there. Her name was Shilpa Kamath. This was in 2002. It's uncanny how I still remember her name after all these years. 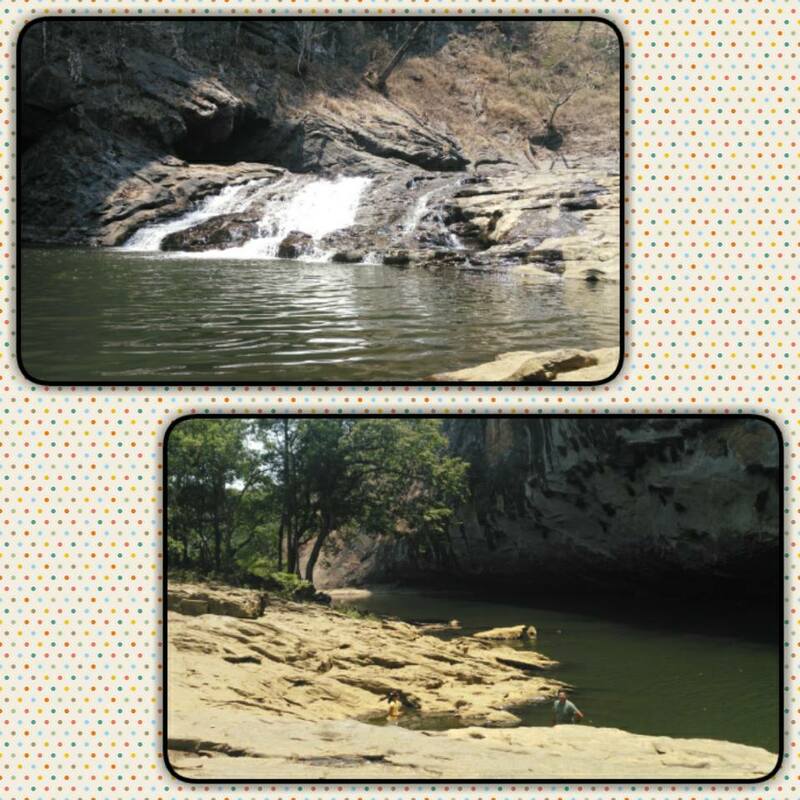 It shows how strongly the allure of Dandeli had registered in my mind. Fourteen years later, I visited the place. 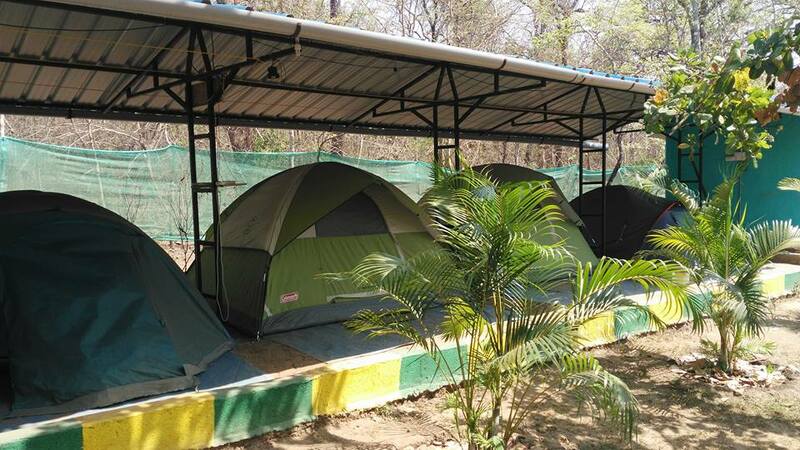 Dandeli is in a town in Karwar district of Karnataka (KA), in the Western Ghats and has the second largest wildlife sanctuary in KA. Tigers, leopards, and bears are found here. But what we wanted to see were black panthers! Dandeli is famous for sightings of the super elusive black panther. The walk up to the sunset point during the ride through the jungle early in the morning was quiet except for the birds waking up to the Sun and the wonderful chill in the air! A slice of bliss from deep within the forest. This was also the place where few decades ago, mining was done. You can still find traces of the mining activities. It is completely stopped now as it is a reserve forest. Our early morning safari ride through the DATR sanctuary didn't amount to much in terms of seeing tigers or leopards. But we did enjoy the ride as we had multiple sightings of peacocks, wild buffaloes, deer, horn-bill and many other birds. The guide pointed out this tree to us. 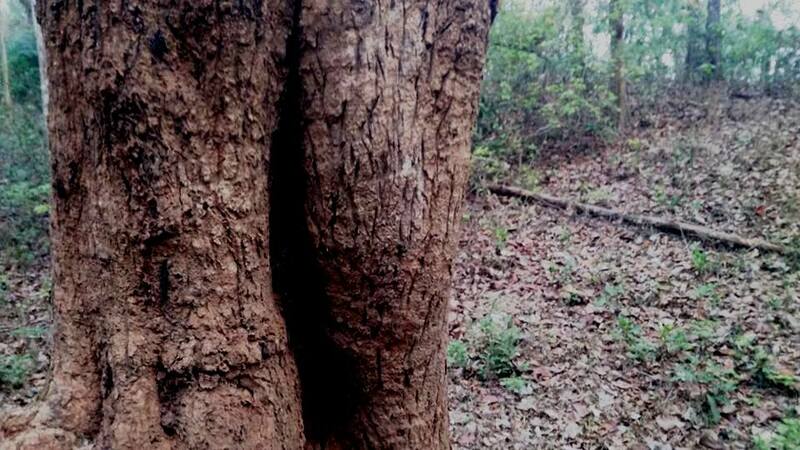 The markings on the tree are tiger paws! The tiger marks it's territory this way. The other main attraction Dandeli is the Syntheri Rocks. 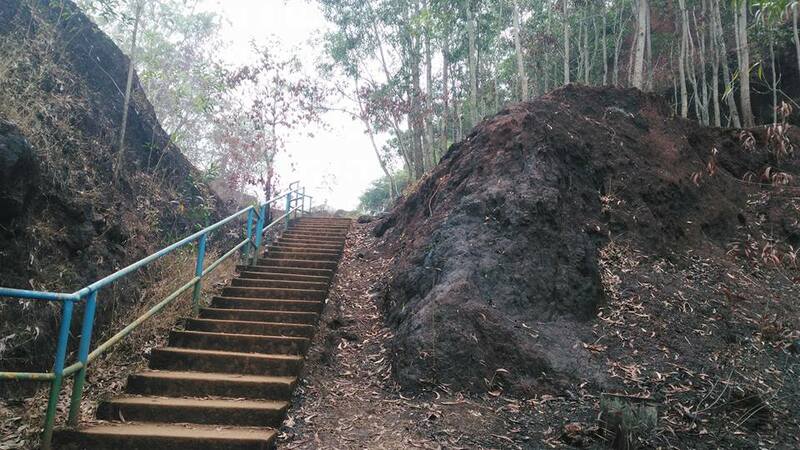 This is the path through the forest leading to the famed Rocks below. 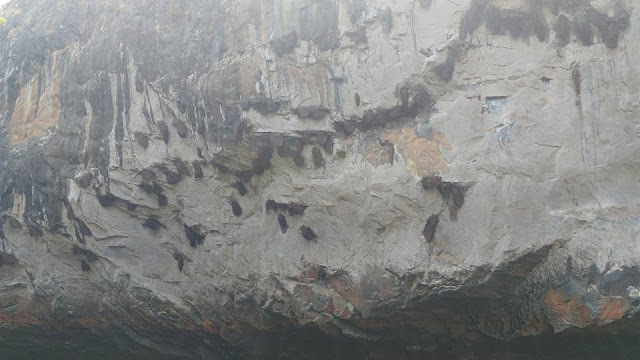 All the black things you see on the rock are actually beehives. So many of them !! 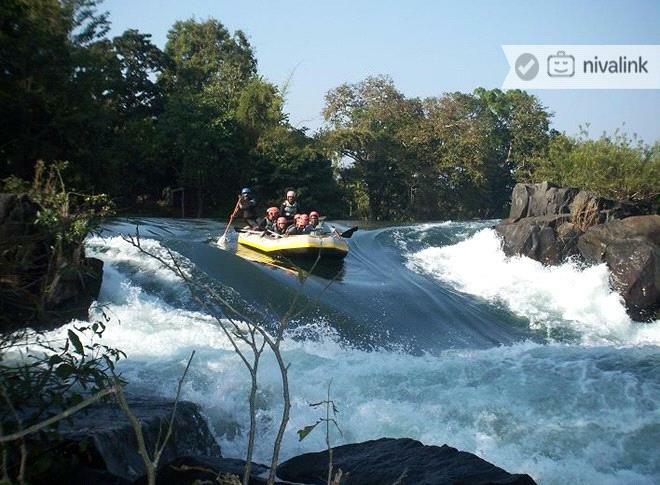 Dandeli is also the place for adventure sports. 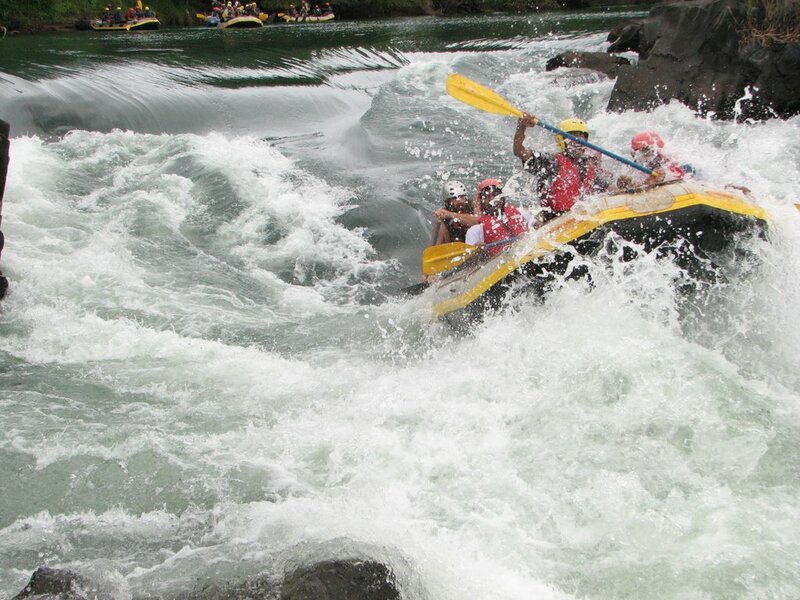 It is a major white-water rafting destination in South India. It is one of the few locations where rafting is possible even in peak summer months of March to June. We had been in mid April, this year. This was my second attempt at rafting. 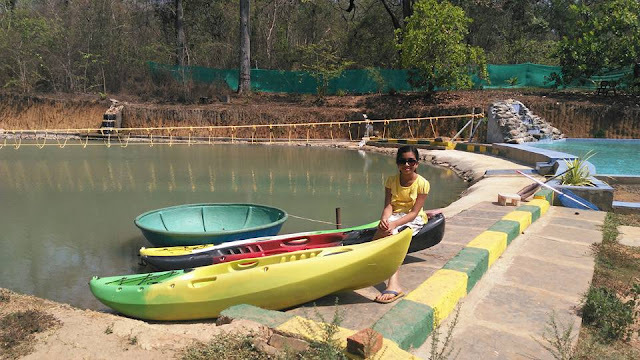 First one was way back in 2005 when we had visited Bheemeshwari Fishing Camp or Galibore in Bangalore. This was the first time for both Sathya and Tan and their excitement was palpable. River Kali is safe, calm and inviting. We had the time of our lives! Tan, with her little hands, rowed vigorously too. We didn't take our mobiles into the water. The 3 pictures you see below are from Google. We'd have loved to have our rafting pictures taken but the memories of the great time we had on the river is etched so strongly in our minds that now we don't care. This was the BEST part of the trip! We also spent time paddling and rowing across the river, and then river crossing and zorbing. 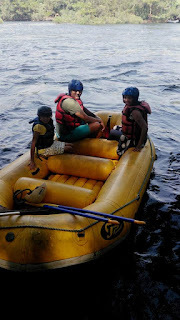 You need to set aside a day just for the water sports if you visit Dandeli. Only a fool would miss an experience like this citing lack of time. 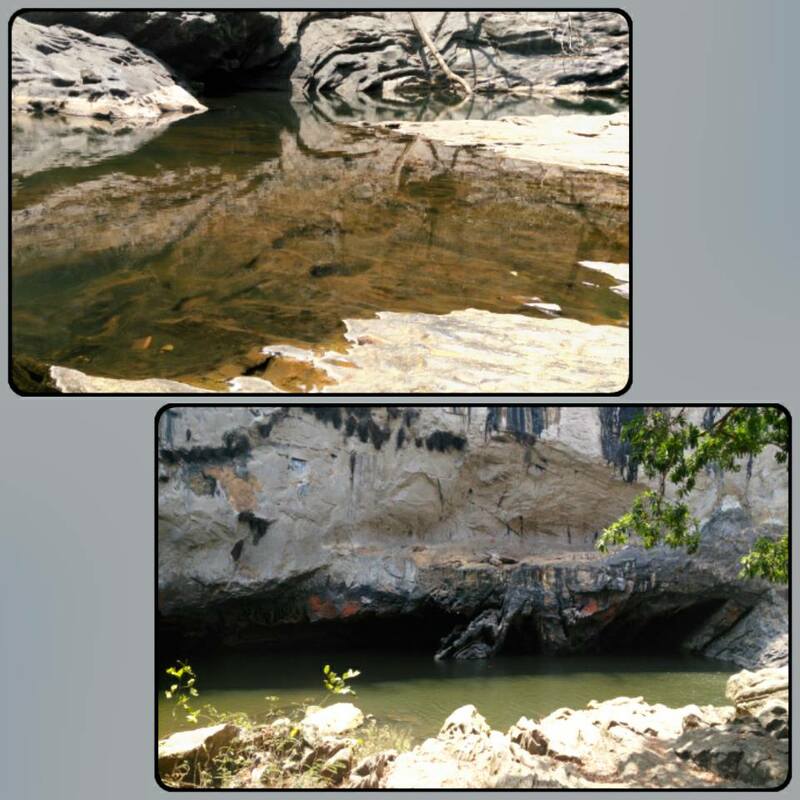 We stayed two days and covered the Tiger Reserve, Syntheri rocks and water sports. We stayed at a home-stay called Kingfisher Resorts in Bamangi, Gavegali Gram. It cost us around Rs 5000/- for two adults and a child aged ten.It included breakfast, lunch and dinner. The breakfast had only one item on the menu, take it or leave it kind of situation but the lunch/dinner was tasty, homely food & fairly good variety of dishes. We chose a cottage to stay in. But you could go for these tents too. 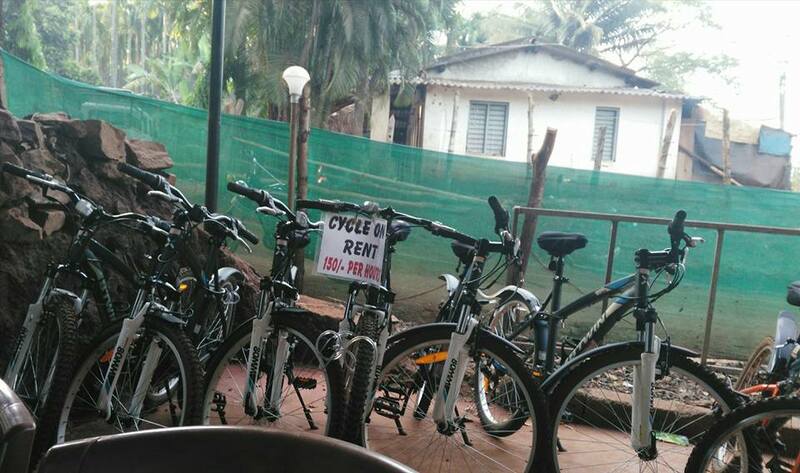 There are eateries in Dandeli that double up as cycle hires. A cycling enthusiast can hire them and explore the city on his own, at a leisurely pace. 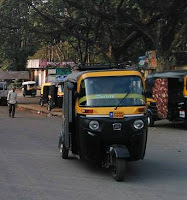 We hired a taxi and it cost us around Rs 2500 for 2 days of sight-seeing. We spent an evening in the city on these concrete blocks on the bridge. It sure is a hangout place! 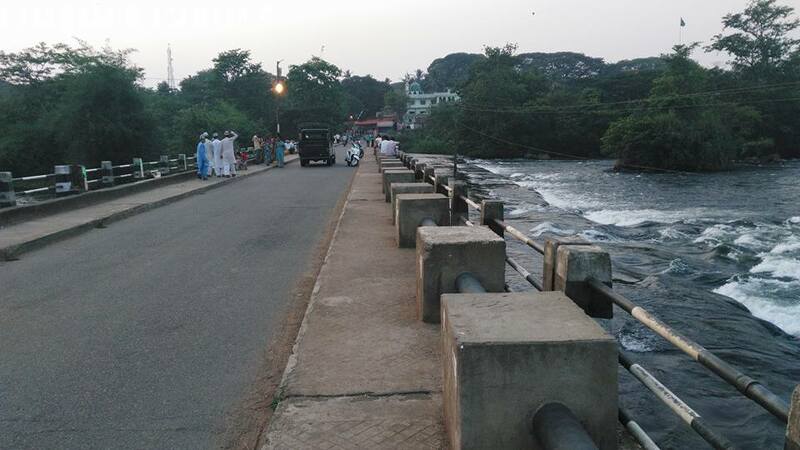 As the clock ticked, and the sun began his slow disappearing act, the empty bridge started filling up with people. In less than an hour, the whole place had a festive flavor to it. We saw, sitting on these stone slabs, old and young, families and lovers. Some watching the sun set, some listening to the constant hum of the river that flowed under, some fishing, some clicking selfies, an elderly couple holding hands in silence, children playing. The noise the quiet ... it was an evening to rest & relax. One interesting thing I saw was the auto with the detachable doors on both sides. It was for protection against rain & sun & safety for school children. I wasn't too happy with it, though. It makes you feel boxed in! They block your view of the road and its many sights. You end up having no choice but to stare at the back of the driver's head! By the way, this is how the autos are in this part of KA. I saw them when I visited Karwar and Belgaum too. So is Dandeli a place you must visit? YES! I feel like rushing straight to this place! lovely pics and interesting post! Nice one. Dandeli is on my radar for next outing for bird photography. You have been to so many already !! Seems a real paradise for tourists.The post is comprehensive giving all essential details of the bewitching spot.Thank you. Thanks for introducing this wonderful place to me. 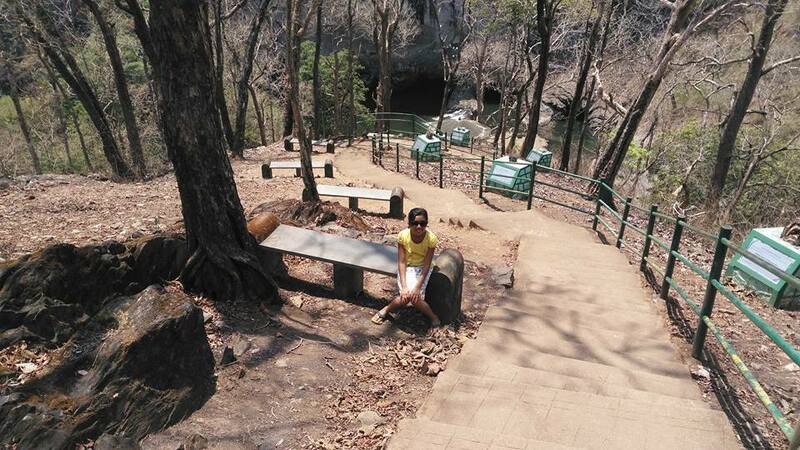 During my next visit to India, I certainly want to visit Dandeli and enjoy. And, thanks for sharing these beautiful photos. 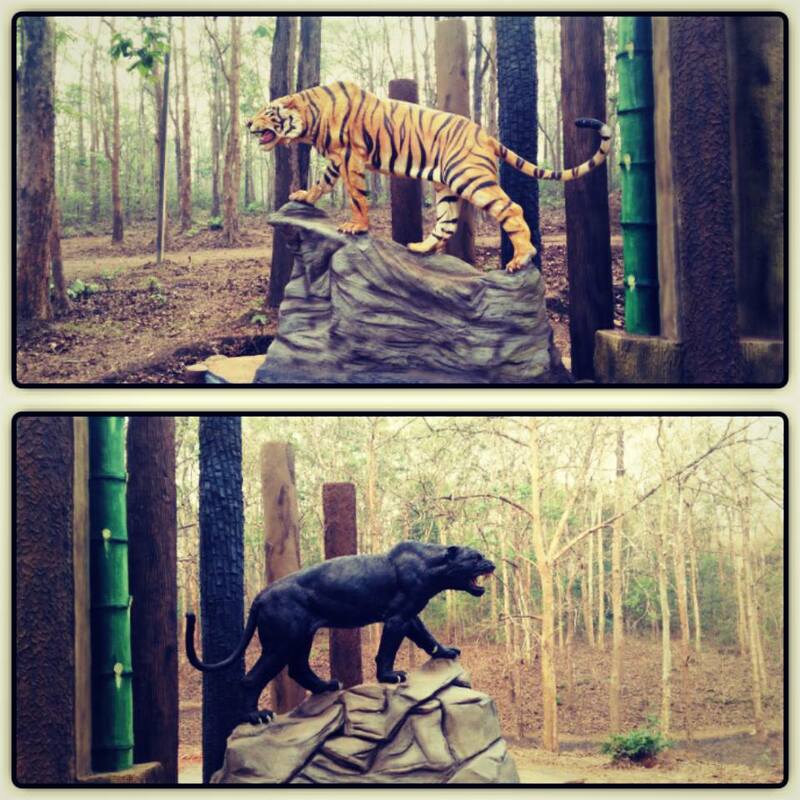 You can always have the excuse of not spotting the elusive black panther as a reason to go back to delectable Dandeli! wow..what a lovely place..would love to visit it. 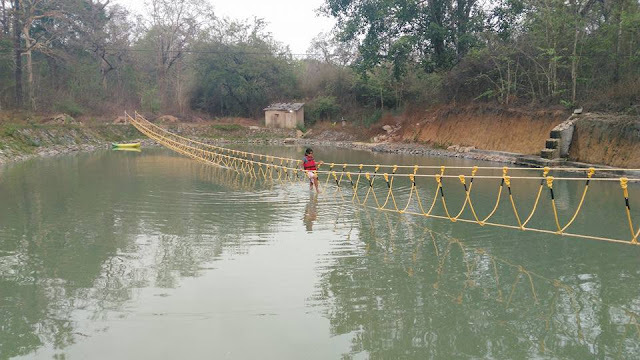 That rope walking bridge must be a real adventure for kids. 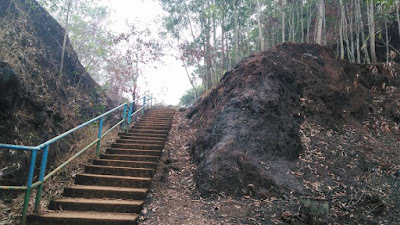 yes yes yes yessssssssssss I did not even know of this place and for sure is on my list .. beautiful pictures ..
Dandeli, a city in Northern Karnataka is additionally extraordinary compared to other corporate group excursion escapes around Bangalore.